French presidential hopeful Emmanuel Macron tried to polish his international stature on Tuesday (21 February) with a surprise visit to London where he met the British prime minister and finance minister. 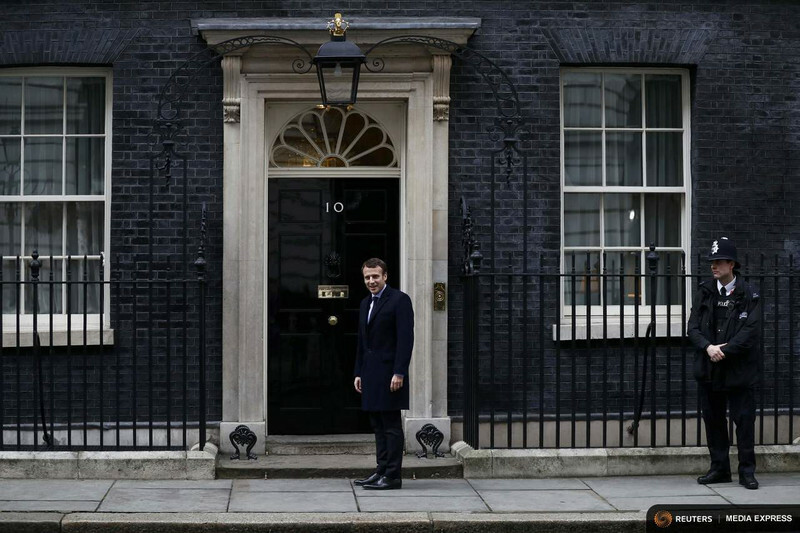 Speaking in front of 10 Downing Street after meeting PM Theresa May, he warned against "undue advantages" for the UK after Brexit and said "an exit is an exit". "Brexit cannot lead to a kind of optimisation of Britain's relationship with the rest of Europe," he said. He added that he encouraged British "talented people" to come to work to France. 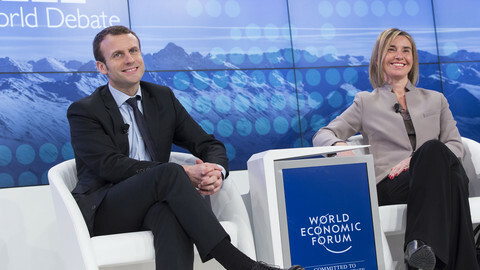 “I want banks, talents, researchers, academics and so on," he said, insisting that "France and the European Union are a very attractive space now". At a meeting for the London French community also attended Nick Clegg, a former Liberal-Democrat leader and deputy PM, Macron urged his countrymen to come back to France to do business. Macron, a 39-year old former banker and finance minister, is one of the main contenders for the French presidential election in April, with far-right leader Marine Le Pen and conservative Francois Fillon. 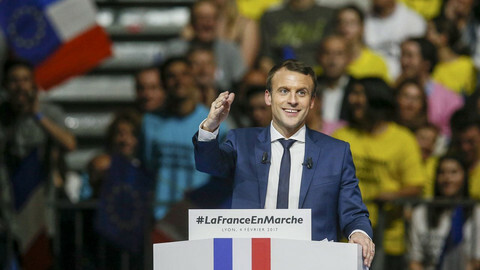 A leader of his own political movement, En Marche [Marching forward], which he launched less than a year ago, Macron is campaigning as a liberal centrist who will renew the political system. 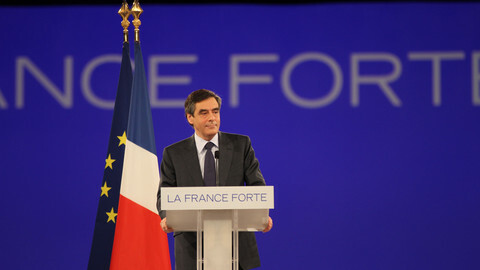 "I claim inexperience and political immaturity," he told his supporters in London, adding that in France, "political experience is political inefficiency [and] favours for friends". Macron is also one the few candidates expressing positive views about the EU. 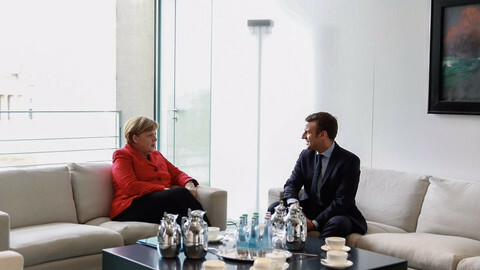 "We need Europe," he said in London, adding that France could "not triumph without Europe". He said Europe needed Britain to be involved in a common security policy with the EU even after Brexit. 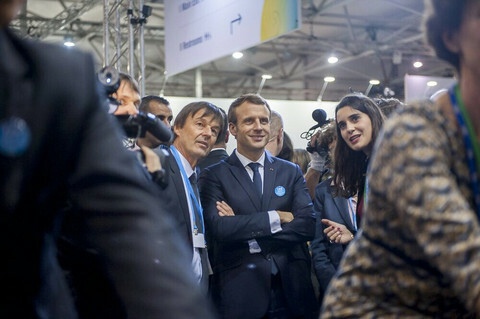 But Macron, who will unveil his presidential platform next week, is considered by many as thin on ideas and proposals. They say that he is benefiting only from the collapse of the left, with led the current president Francois Hollande to renounce running again, and from the weakness of the right, with Fillon embroiled in an embezzlement scandal involving his wife and children. Macron's visit to London, designed as an operation to show that he can be influential abroad, came as the latest poll showed that he was losing ground to Le Pen and Fillon, losing five points to 17-18.5 percent of voting intention. According to the poll published for L'Express magazine and BFM TV, Le Pen is ahead in voting intention in the first round, with 27-28 percent, and Fillon second at 20-21 percent. In the run-off, Le Pen would be beaten by both Fillon - with 56 percent against 44 - and Macron - 59-41. 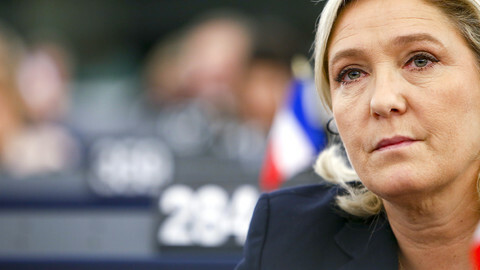 But the gap between the far-right leader and her contenders is narrowing in polls, despite a police investigation into alleged fake job contracts she signed in the European Parliament. Many people are also still undecided. According to the poll, 24 percent of respondents refused to say what they would vote in case of a run-off between Le Pen and Macron; 32 percent in case of a Le Pen-Fillon vote. Another problem for Macron could arise on Wednesday, if centrist politician Francois Bayrou, who summoned the press in the afternoon, announced a presidential bid. Both men would compete for centre-left and centre-right votes. While Macron was is London, Le Pen was in Lebanon for a two-day visit, also in an operation to demonstrate her international clout. She met president Michel Aoun and prime minister Saad Hariri but refused to meet the grand mufti because she was asked to wear a veil. “I have explained to president Aoun the true meaning of my political struggle,” she said. “It is a struggle for freedom and sovereignty which I believe is something that resonates particularly in Lebanon." The party of French presidential candidate Emmanuel Macron has raised the alarm on Russian interference after a gay smear campaign. 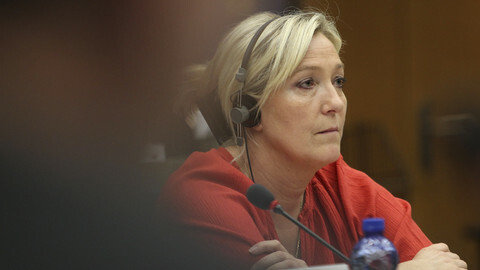 Officers raid the National Front headquarters near Paris over allegations that leader Marine Le Pen used fake EU parliament contracts to pay her personal staff. The centre-right presidential candidate, who just won his party's primary, wants a "more political" EU that would focus on security and the economy.